Since the Soufrière Hills volcano began erupting in 1995 and eventually buried Montserrat's capital, Plymouth, the real estate market in Monserrat has been in the doldrums. However the once-thriving British territory is now hoping to regain its position as a world-class tourism destination through a comprehensive development project. The public-private Montserrat Development Corporation has unveiled a master plan to build a new capital in Little Bay, on the northern end of the island. The tourism industry is one of the plan's main focuses, with a plan to build a hotel along with luxury residences, condominiums and other accommodation. In December 2013, the construction of the new ferry terminal at Little Bay was completed. In the coming years, several bars and restaurants are expected to open in Marine Village, a four-unit development project located in Little Bay. The development project is expected to be completed in 2020 at a total cost of about US$300 million, according to Ivan Browne, CEO of Montserrat Development Corp.
"We're getting Montserrat back on the map," said Ayiesha de Coteau-Sammy of Montserrat Development Corp. "People have forgotten that the island exists, so we're trying to get the word out that Montserrat is open for business. We're ready to get people and get back to sustainability. What we're hoping to do is get back to 50% self-sustainability by 2016," de Coteau-Sammy added. Foreigners can freely buy property without restrictions. Montserrat uses the East Caribbean Dollar at a fixed exchange rate of US$1=ECD2.7. However, real estate is generally bought and sold in US dollars. Yields are around 3% for properties located in Montserrat’s northern coastal areas, far from the volcano at the southern part of the island. 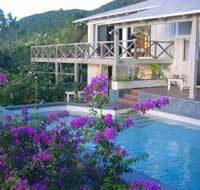 The average price for properties in northern Montserrat is around US$2,950 per square metre. Rental Income: Nonresidents’ earnings from rental property are taxed at a flat rate of 10%. 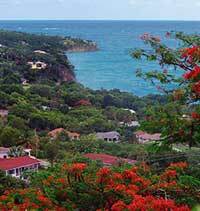 Capital Gains: Capital gains from selling real property are not taxed in Montserrat. Property: For residential properties, land tax is levied at 0.05% on the market value of the land and building tax is levied at 0.25% on the market value of the building structure. Inheritance: Estate and trusts are taxed at the standard income tax rates. Residents: Residents are taxed at progressive rates. Roundtrip transaction costs, i.e., the total cost of buying and selling a property, are around 10% of property value, usually paid by the buyer. The Alien Land Holding License is the biggest cost at 5% of property value. Montserrat uses the East Caribbean Dollar at a fixed exchange rate of US$1=EC$2.7. However, US dollars are generally used in real estate transactions. Montserrat, a British colony in the Caribbean, is a small island rising in a series of mountain slopes to Soufriere Hills volcano, its highest point. In 1997, the newly active volcano turned angry and began spewing out huge quantities of molten lava and hot ash, filling the sky with sparks and detonations. Eventually the lava covered two thirds of the island. Entire villages were buried by the flow, including the Georgian-era capital, Portsmouth. Only around 5,000 people are left on the island, half of them foreign workers, supported by the UK government. The government has battled the odds, promoting volcano-related tourism. The capital Plymouth was relocated in 1996, and with British help a new airport was built in 2005. In 2014, total visitors to Montserrat rose 17.9% to 12,334 persons, according to the Central Statistics Office (CSO). Most tourists come from the United Kingdom, United States, Canada, and other Caribbean states. Visitor expenditure rose by 21.1% y-o-y to US$8.22 million. During the first half of 2015, total visitor arrivals rose again by 11.2% to 7,320 persons from the same period last year, based on figures from the CSO. Despite the threat of volcanic eruptions, the island’s rugged beauty, friendly people, old fashioned values and peace and quiet make some tourists return year after year. In the words of so many property owners in the island, "where else can you leave your door unlocked without fear?"